The George’s Street Arcade in Dublin 2 stall is manned by Tomás’s son, Milo Póil. Open Monday to Saturday from 11am to 6pm. You can find Milo’s stall on Facebook. 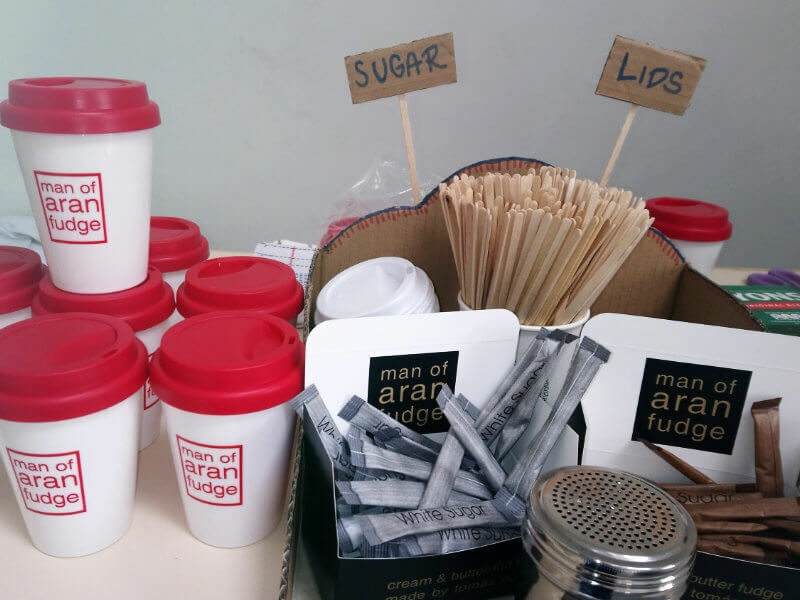 “Man of Aran fudge Dublin is located in the beautiful Georges Street Arcade right in the middle of Dublin’s cultural quarter. The Arcade may be one of the oldest and most beautiful bazaars in Europe having first opened in 1881, and is a ‘must see’ for any architectural buffs out there. This is a good example of a Victorian commercial operation adapted for the 21st century. It is also home to some of the most unique shops, restaurants and boutiques in the city centre which makes it the ultimate in one-stop gift shopping. 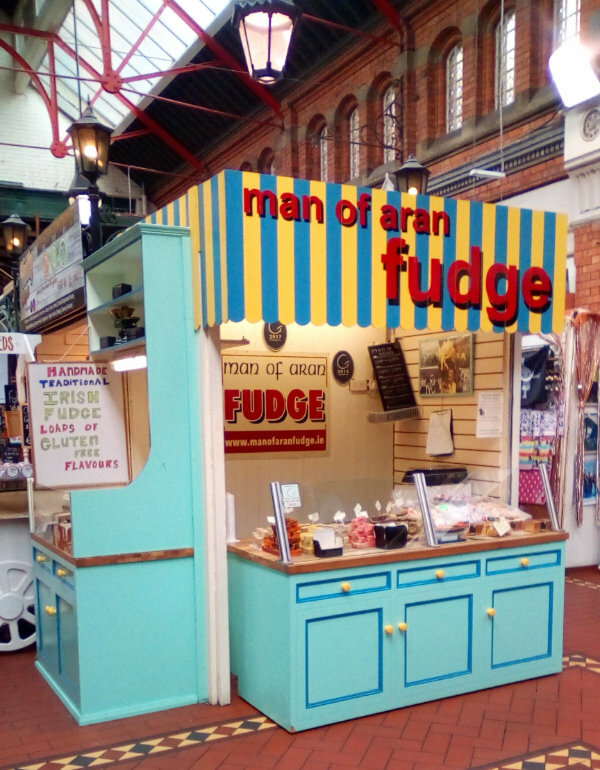 “I feel incredibly lucky to be able to share my family’s fudge in this amazing building: here you can find all of my fathers delicious handmade fudge flavours and confectionery including Turkish delight and honeycomb. 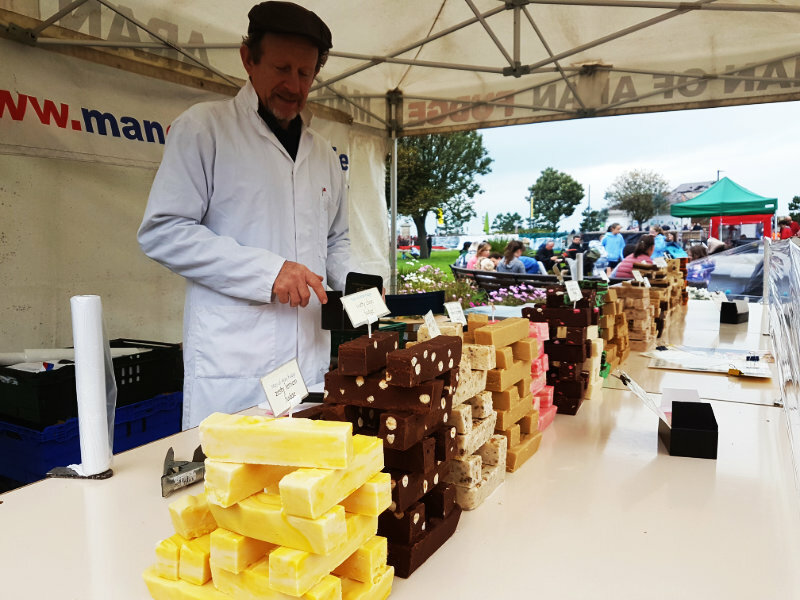 Every Sunday come rain or shine there is a large, jolly food market in Peoples Park in Dún Laoghaire; here you will find Man of Aran Fudge cared for by a neighbouring farmer and friend, Michael Bird. 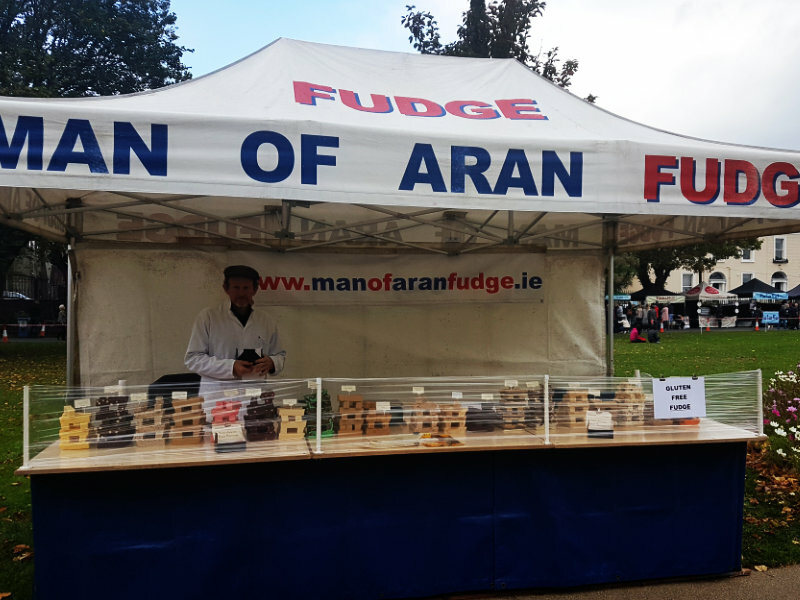 Michael and his family have helped with Man of Aran Fudge for about ten years. This is a favourite spot for many families to visit on Sunday – a stroll by the sea shore or along the pier followed by brunch in the People’s Park or shop for some speciality foods to enjoy throughout the week. 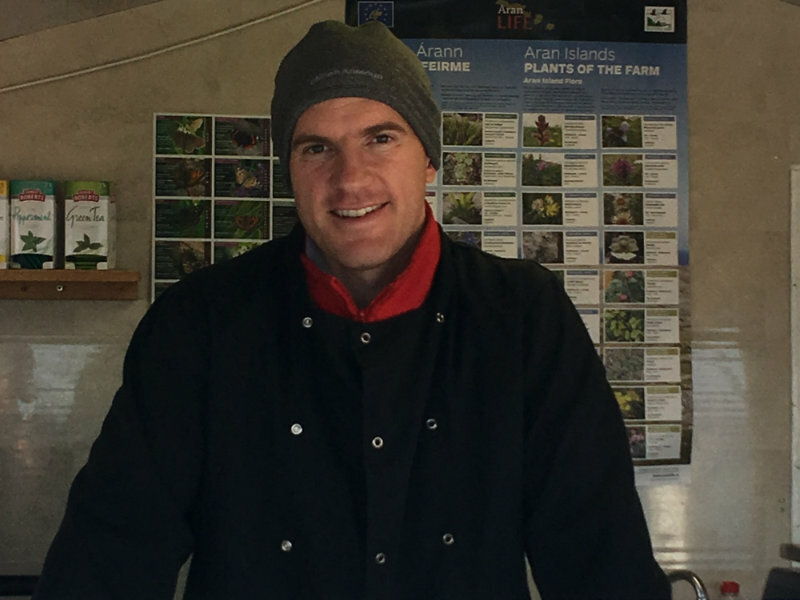 Siad Eoghan Póil agus a chlann an ghlúin is déanaí de na Póil atá ag déanamh faoiste. Cónaíonn Eoghan ar Inis Oírr, oileán álainn agus áit dúchais le Tomás, uncail le Eoghan. “I am the latest generation of the Póil family to continue the family tradition of making fudge. A nephew of Tomás, I live on the beautiful island of Inis Oírr, the home of Man of Aran Fudge. 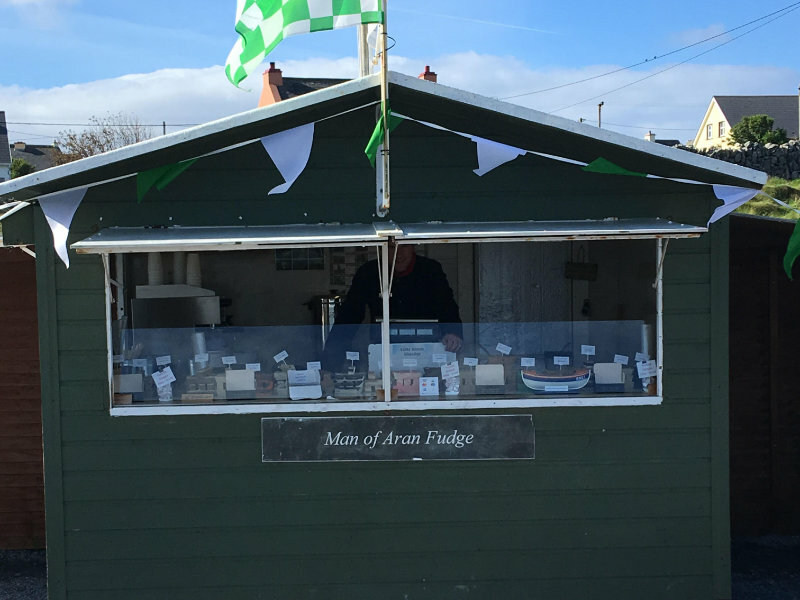 “I have been involved in the family business for the past 5 years, and produce Man of Fudge on Inis Oírr, having been taught all the family secrets by Tomás. 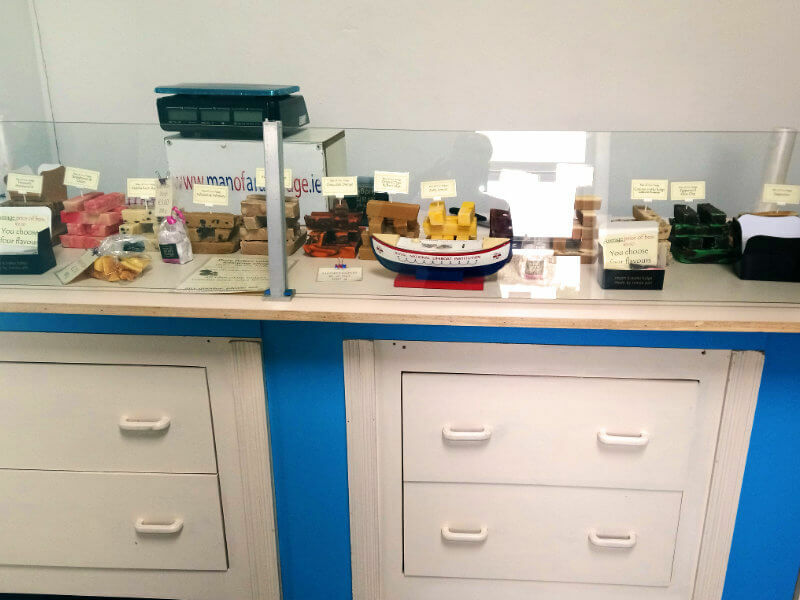 Inis Oírr is well worthy of a visit, offering sandy beaches, ancient ruins, panoramic views, lots of family friendly amenities, and of course Man of Aran Fudge. In summer you will also find us on Inis Mór, the largest of the Aran Islands. Our siopa is in Kilmurvey at the Dún Aonghasa visitor centre where the path to the prehistoric stone fort on the cliff begins. 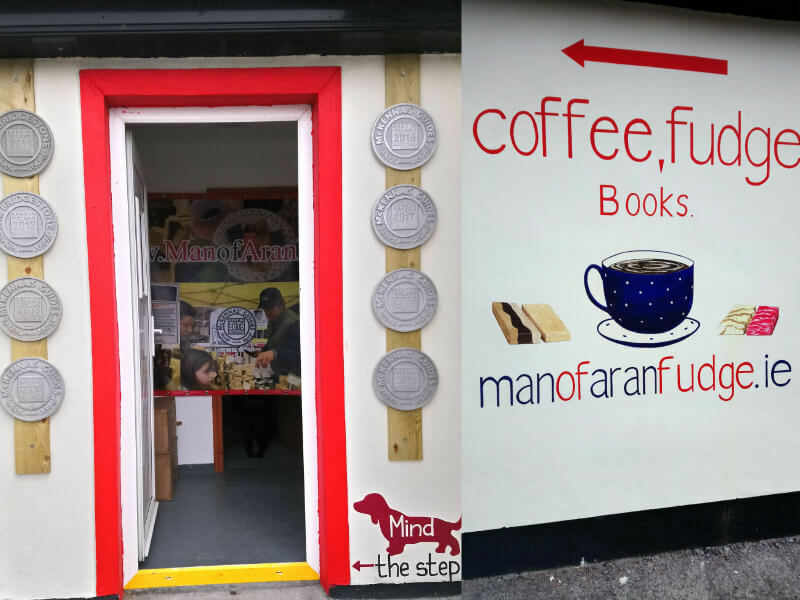 As well as our famous fudge we serve coffee and have a selection of books for sale. So drop by for rest and refreshment on your trek.